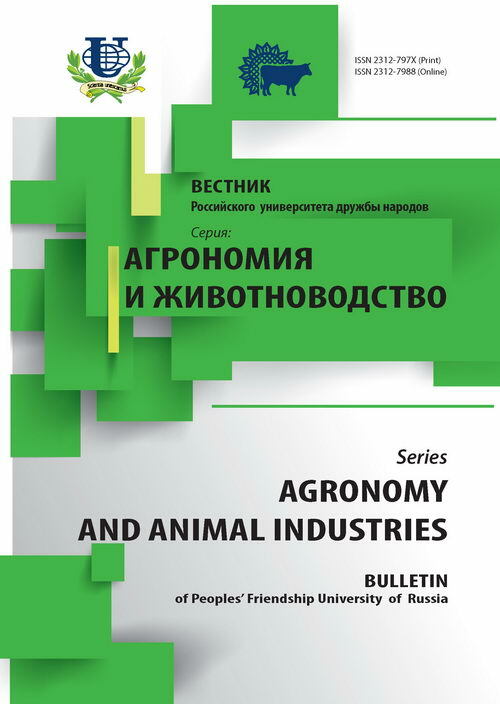 Authors: Muromtsev N.А., Semenov N.A., Shuravilin A.V., Bushuev N.N., Skorikov V.T. Hydromorphic dernovo-podzolic soils, placed in Upper Volga Lowland (Tver region) are investigated. It is established reasons of land melioration effect decrease in Noblackland zone of Russian Federation. It is studied mineralization of drained flow in year season. It is determined factor complex on improvement drained soil production. It is recommended to build no only draining system, but also system with two-way soil water regime. If application of mineral fertilizers in soil norm N200P150K150 agrochemical indexes improve and yield oats increase in 3 once. drying, dernovo-podzolic soils, evolution, ecologic-melioration condition, meliorated lands, improvement, oats, mineral fertilizers, soil mantle, peat soils. Copyright (c) 2010 Муромцев Н.А., Семенов Н.А., Шуравилин А.В., Бушуев Н.Н., Скориков В.Т.